Although wine has been credited for a wide range of health benefits, little is said about primary constituent. The consumption of wine is not necessary to benefit from all the wonder nutrients in grapes. Grapes are rich in health-protecting antioxidants, including resveratrol and flavonoids. These antioxidants are found mainly in the skin, stem, leaf and seeds of grapes, rather than in their pulp and they exhibit very powerful anti-aging, immune boosting and health promoting properties. We've looked at the French for years to discover exactly why their high consumption of wine has led to lower rates of heart disease and cancer. Scientists discovered more than a decade ago that it had nothing to do with the alcohol and everything to do with resveratrol antioxidants in red grapes. The French are also more active and eat less processed foods with less toxic preservatives, which may protect them against many cancers. Alcohol, regardless of its type (i.e. beer, wine, liquor, etc) is a class A1 carcinogen which are confirmed human carcinogens. Alcohol consumption has been causally related with breast cancer for some time. Increasing evidence indicates a stronger association with neoplasms, though the risk is elevated for other types of cancers too. In a previous study posted in the journal Neuroscience, lead author Megan Anderson, reported that even moderate drinking -- drinking less during the week and more on the weekends -- significantly reduces the structural integrity of the adult brain. For every 200 women, 20 are expected to develop breast cancer during their lifetime. If they all drank 1.5 units every day, an extra one woman would develop cancer because of alcohol, the research suggests. 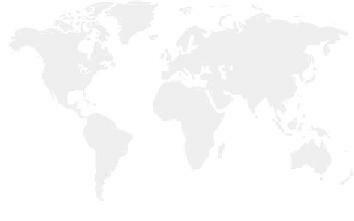 In an analysis of 446 compounds for their the ability to boost the innate immune system in humans, researchers in the Linus Pauling Institute at Oregon State University discovered just two that stood out from the crowd. Red grapes and blueberies both have an exceptional ability to significantly impact immune function. The amount of antioxidants in grapes depends on many factors, including the kind of grape, its geographic origin and how it's processed. Dark red and purple grapes tend to be higher in antioxidants than are white or green grapes. Likewise, the level of antioxidants such as resveratrol found in wine varies, with higher levels in red wine. Besides grape juice, other grape products may offer health benefits, including dealcoholized wine, grape extracts and grape powder. Keep in mind that it's also beneficial to eat whole grapes -- not just grape juice. Some research suggests that whole grapes deliver the same amount of antioxidants that are in grape juice but have the added benefit of providing dietary fiber. Rochester researchers showed for the first time that resveratrol in grape skins can help destroy pancreatic cancer cells by reaching to the cell's core energy source, or mitochondria, and crippling its function. * Resveratrol exhibits therapeutic potential for cancer chemoprevention as well as cardioprotection. "It sounds contradictory that a single compound can benefit the heart by preventing damage to cells, yet prevent cancer by causing cell death, said Brown. "The most likely explanation for this, still to be rigorously proved in many organs, is that low concentrations activate survival mechanisms of cells while high concentrations turn on the in-built death signals in these cells." * Resveratrol may aid in the prevention of age-related disorders, such as neurodegenerative diseases, inflammation, diabetes, and cardiovascular disease. "The simplest explanation is that resveratrol turns on the cell's own survival pathways, preventing damage to individual cells," said Brown. "Further mechanisms help, including removing very reactive oxidants in the body and improving blood supply to cells." * Low doses of resveratrol improve cell survival as a mechanism of cardio- and neuro-protection, while high doses increase cell death. "The key difference is probably the result of activation of the sirtuins in the nucleus," said Brown. "Low activation reverses age-associated changes, while high activation increases the process of apoptosis or programmed cell death to remove cellular debris. Similar changes are seen with low-dose versus high-dose resveratrol: low-dose resveratrol produces cellular protection and reduces damage, while high-dose resveratrol prevents cancers." 1) Flavonoids found in grape juice raise the level of HDL (good) cholesterol. This prevents atherosclerosis, blockage of arteries and improves cardiovascular health. Grape juice also improves nitric oxide levels in the the body which reduces the formation of clots in blood vessels. 2) Resveratrol found in grape juice prevents the formation of tumors in the body. Red grapes contain antioxidant compounds found to specifically prevent breast cancer. 3) Drinking grape juice daily helps in lowering blood pressure. 4) Antioxidants present in grape juice repair damaged cells and also prevent them from further damage. 5) Taking grape juice in the morning without sugar helps cure migraine headaches. 6) Grape juice cures blood disorders and is a very good purifier of the blood. It also flushes out harmful toxins from the body. 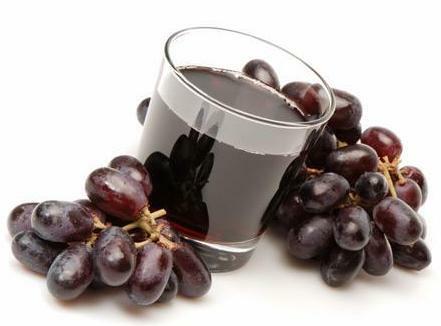 7) Grape juice cures constipation problem as it acts as a good laxative. 8) Red colored grape juice prevents infections and has strong antiviral and antibacterial properties. 9) Antioxidants present in grape juice can help in preventing aging related problems like Alzheimer�s disease. 10) Antioxidants present in grape juice boost the immune system.